There are a lot of dairy bars and drive-ins out there that could be interchangeable. That’s not to say the burgers from such a place aren’t any good -- they usually are. Those sort of burgers are marked by good quality meat, a nicely seasoned grill, a smashed patty, fresh toppings and a traditional bun wrapped in wax paper. Wink’s does all that and more. The burger stand, which has been around since 1968, serves up a series of amusingly-named burgers, plate lunches, tamales and such with pie, shakes and malts and whatnot for dessert. It’s located in an old yellow building at the corner of Washington and Redwood in North Little Rock. I ventured there on a Monday afternoon looking for something good to eat. Wink’s only does walk-up service, the sort that comes with a number on a small tab of paper. If you stand at the front of the building after you order, others are likely going to think you are in line. In fact, I was the only person who sat outside my car waiting on my order. The day was too pretty to waste in my opinion. That lead me to stare directly at a coconut meringue pie set exactly at eye level on the other side of the glass. Until this point in time I was unaware that Wink’s did pie; I knew only of the legendary malts, and thanks to my current diet that wasn’t on my menu for the day. My order took about 15 minutes to prepare. 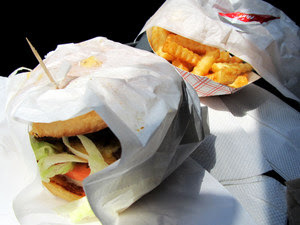 My number was called, I picked up my white paper bag and headed for the car -- where I pulled out my burger and fries and photographed them before dumping half of said fries all over the passenger side seat. Well, there you go. 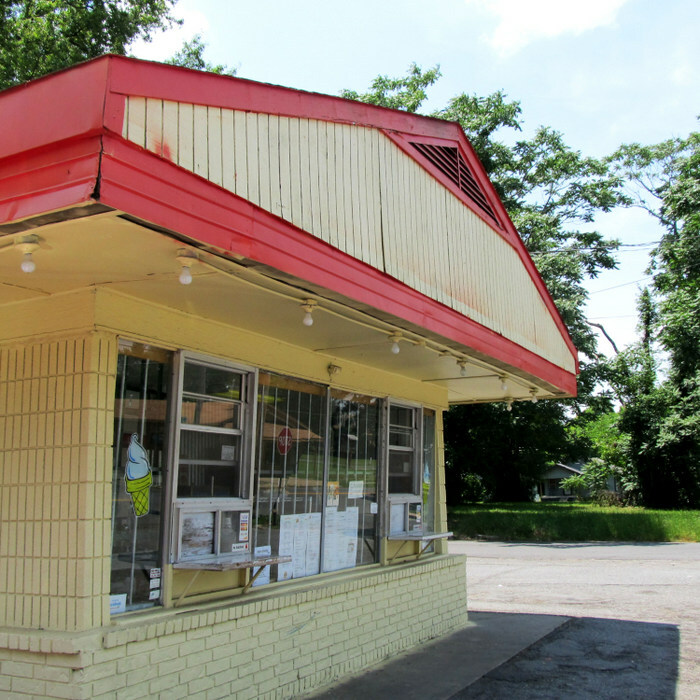 Now, Wink’s sells burgers and cheeseburgers by name -- Small, Jumbo, Elephant and Whimpy. 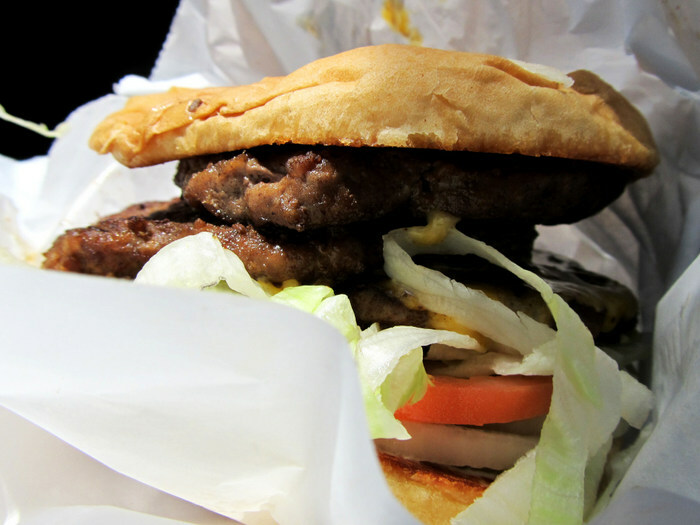 The Elephant, with its three four-ounce patties, is actually heavier than the half-pound Whimpy, so I chose that. I mean, let’s go with the visual appeal here. The Elephant with cheese cost me $4.80, while a small order of fries ran $1.90. I could have gone with tator tots, onion rings, fried okra, slaw, bean, spicy corn nuggets or fried green beans instead. The fries are crinkle-cut and golden brown. 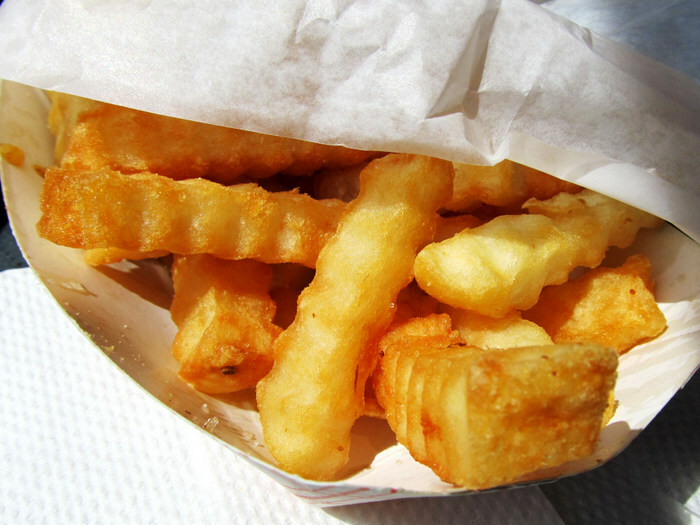 I have a soft spot for crinkle-cut fries, even though I know they come frozen. Something about the extra surface area gives them the perfect blend of crisp and soft, and these were good examples. They came with four ketchup packets and a packet of salt, the latter of which was completely unnecessary. The burger? The wax paper was already shining from the grease within. Once I released its toothpick I could see three patties that weren’t quite the width of the bun, organized to cover that bun-space. They sorta looked like sausage patties when you flatten them with a spatula. There was a slice of American cheese melted onto one of them, and they sat between buttered toasted seedless whitebread buns on top of an ample bed of lettuce, tomato, pickle and white onion. Mayo was the default condiment. It looked like a burger that could have been conjured elsewhere -- but it was not. There was a flavor to the patties, a nicely varied but not overdone spice heavy on the onion powder and reminiscent of Cavender’s Greek Seasoning -- but still not Cavender’s. I suspect, being a 44 year old dining establishment, that Wink’s has its own proprietary spice blend. It was marvelous. Still, the Elephant Burger lived up to its name. I got through a third of it and wrapped the rest for a later date. I’m going to have to go back some other time for my chocolate malt, and perhaps a piece of pie -- Wink’s sells coconut meringue and lemon icebox every day, and sometimes it sells egg custard, peanut butter, caramel and something called peanut butter luster. 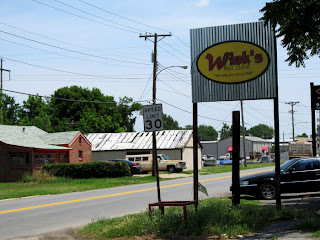 You’ll find Wink’s at 2900 East Washington in North Little Rock. It’s open 9 a.m.-6 p.m. Monday through Friday and 10:30am to 5:30 p.m. on Saturday. (501) 945-9025. 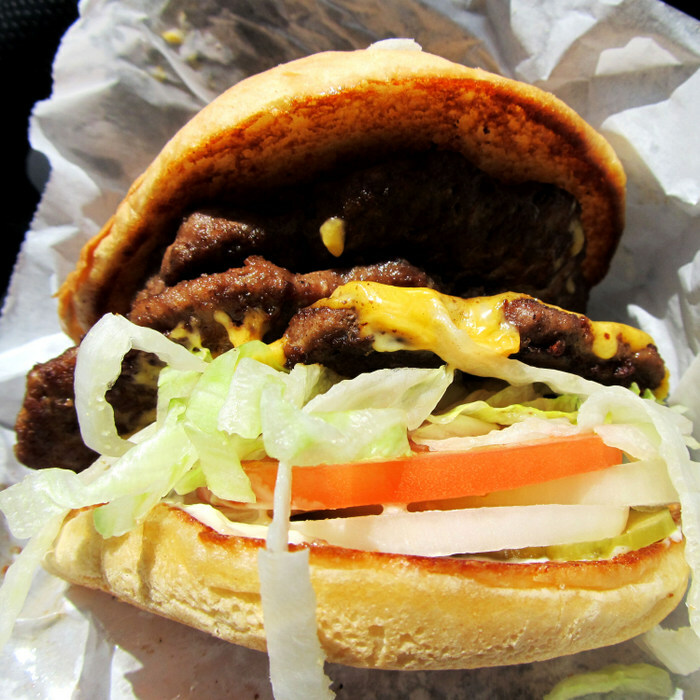 Burger Joint of the Week: Ed Walker's Drive-In. Go Early, Go Often to the Greek Food Festival.